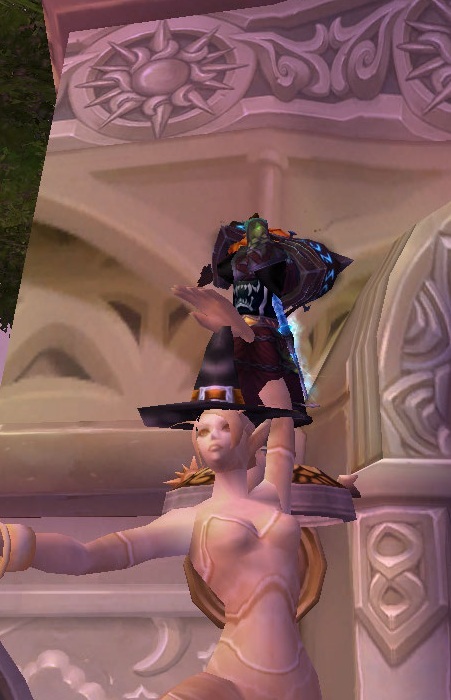 Elkagorasa the Casual: Hallow's End, I H8 U! Hallow's End, I H8 U! 4 years.. 4 years!! 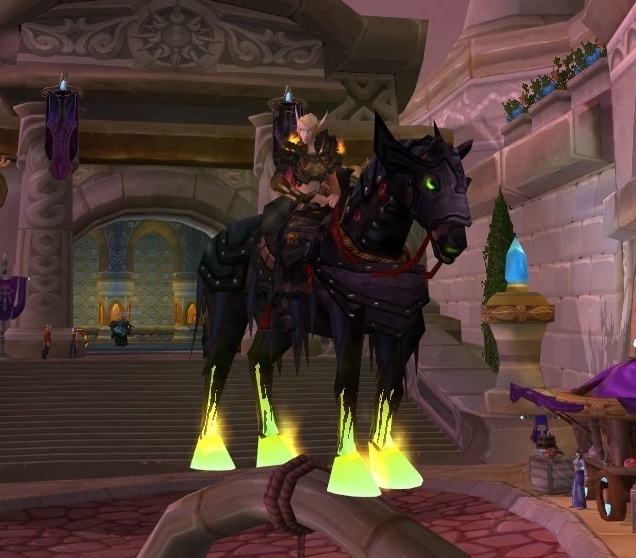 I have been playing WoW for 4 years and I still don't have the Headless Horseman's mount. Last year we had a group, with many alts, and ran through that fight at least a dozen times each night. This year, it seems that 1:5 people are showing off their HH mount. So far, my lousy luck has awarded me 2 4 Sinister squashlings, 3 Hallowed Helms, that horrific plate helm (which #$*@ I can't equip), , many masks, and lots and lots of justice points. I want the flying, flaming pony!! Not Elk on this is LOCK mount! I can completely sympathize with you. It seems everywhere I look someone is running around on the HHM mount or writing a blog post about how they've gotten 3 of them. Like you, after 4 years, I haven't gotten one. yeah, the one negative to having the HH in the RDF, is now you can't grind this boss for the drop. Last year (i think I have a screeny) we had a dozen dead bodies littering the floor. Now it only take 2 minutes to queue, but for a 30 second fight and yet another mask drop. 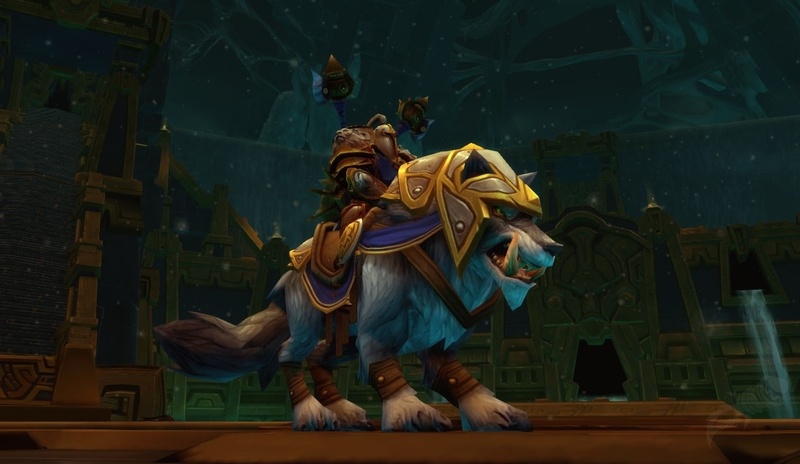 I too have noticed that everyone has a mount but so far have failed to get one myself. Although since this is my first Halloween event the pain isnt as strong. The other drops are crazy though-recieved a helm,squashling, and broom in one bag drop yesterday. Love the site, but dont see a way to contact you outside of a comment. I've recently started playing-only been a level 80 lock for about 3 months and was wondering if you could do a post about how you personally use theorycrafting. Do you use scale factors spit out by simcraft, use a self created spreadsheet, or some other means? I have been a simcraft person since i first became aware of it-puting the scale values into Rhadatip and using it to help choose between gear. With the new changes to talent trees and elimination of spirit, the boys at Elitits Jerks are updating simcraft. I'd like to take this time without simcraft to understand how scale factors are calculated-what a gear with #Int and #Hit actually do to DPS. Maybe i'll just end up blindly using simcraft and trusting that it is correct-but figured i'd try to educate myself a little. Thought you in your infinite experience could shed some light perhaps. Thanks in advance. @dl3mk3 - I found a way to add an email form to the site, using a 3rd party site. If I find a native way in Blogger to do it, I'll switch to that. As for gear selection, check out my gear category on the side. As a more casual player, I've never got really deep into the theorycrafting. Simulcraft has never been installed. Typically I read other lock's hard work (see lock list). I am using my time in the Beta to get a better understanding of what's to come though.